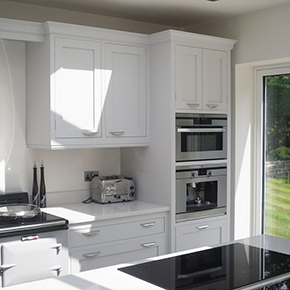 Do you have an older kitchen you’re looking to completely transform into a showpiece? From one room to a full house renovation project we deliver on time and on budget. Our colour consultation offers you a tailored colour scheme designed and bespoke to you. All the original artwork for Expressions is designed and painted by artist Phil Mitchell. We have 40 beautiful colours that all complement each other in eggshell and emulsion. Expressions Interiors colour consultation offers you a tailored colour scheme designed and bespoke to you. Here at Expressions Interiors we pride ourselves in being unique; offering our clients a range of services and giving them the full interior decorating package. From start to finish we can provide a service that will exceed our clients’ expectations. 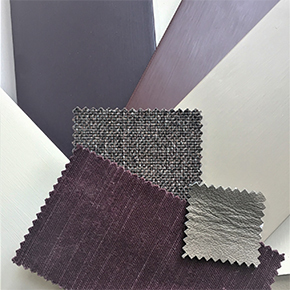 By offering a colour consultancy service, we can assist and advise our clients in choosing the right look and colour scheme, whether it’s for a full house re decoration, hand painting a kitchen or hand painting furniture. 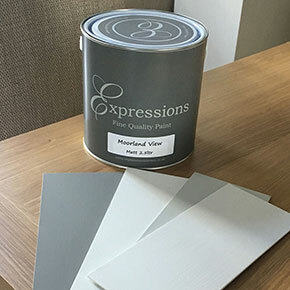 Using our own range of Expressions Paint which comes in 40 stunning colours in eggshell and emulsions, we are confident that we can achieve the right look for your interiors. 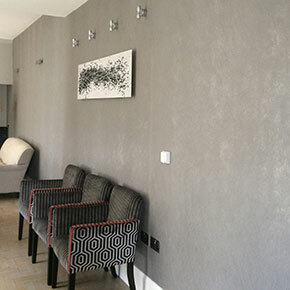 With our in-house team of painters and decorators, we can totally transform your home, whether it’s hanging luxury wallpapers, producing stunning paint effects or giving you that Expressions flawless finish, we guarantee you will be 100% satisfied. We have gained an excellent reputation for achieving high quality hand painted finishes on kitchens and furniture throughout Yorkshire. Whether it be a kitchen refurbishment or a brand new fitted kitchen, we are confident we can give you a beautiful hand painted finish. Finally, to add that finishing touch to your newly transformed room or kitchen, we can design and create a bespoke piece of artwork to compliment your stunning new interior. 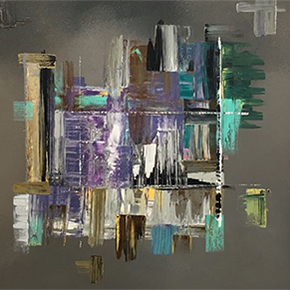 Alternatively you can select original art pieces from our gallery – all created by artist Phil Mitchell. To be the first to hear about our new products, services and offers, subscribe to our newsletter here. “If like me you have chosen a hand painted wooden kitchen as a long-term investment, then don’t assume that any painter/decorator can repaint it when the time comes to produce that smooth, long lasting factory like finish that you have been used to. They can’t, as I have found out to my cost! Thankfully this firm of experts can and do! I have seldom met a harder working and clean working team and they produce wonderful results. They have transformed my shabby, scratched units- repainted only 3 years ago as part of a general kitchen paint update-back into new looking units. “Expressions Interiors have just finished painting our 17 Year Old Pine Kitchen. We are thrilled to bits with it. Phil spent a lot of time helping us choose the colour scheme we wanted. The Lads who did the painting were totally reliable and took so much care and pride in the work they did. The finish on the kitchen is perfect. Subscribe to our newsletter and be the first to hear about our special offers and new products and services.